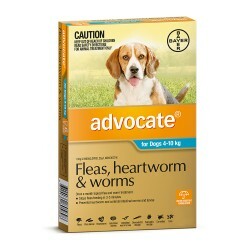 A highly palatable and digestable, complete and balanced diet for all dog breeds. ADVANCE contains a unique blend of Vitamin C, Vitamin E, Beta Carotene, Taurine and plant extracts containing carotenoids (Lycopene and Lutein). These selected ingredients have been clinically proven to increase the level of antioxidants in your pet. Antioxidants are essential for your pet's cellular repair and are a natural defence against Australia's harsh climatic conditions. Chicken; salmon; rice; minerals (tri-calcium phosphate, zinc sulphate, manganese sulphate, potassium iodide); gelling agents; vegetable oil; vegetable fibre; taurine; vitamins (E, C, B1, B5, B9, B6, D, B12); plant extracts (marigold powder, tomato powder, lucerne meal); choline chloride. Matilda, the Wolf Hound Cross, thought her life was petty good, but then it got better. We discovered Advance Chicken, Salmon and Rice, three of her all time favourites in one can. There has been lots of tail wagging and lip smacking.